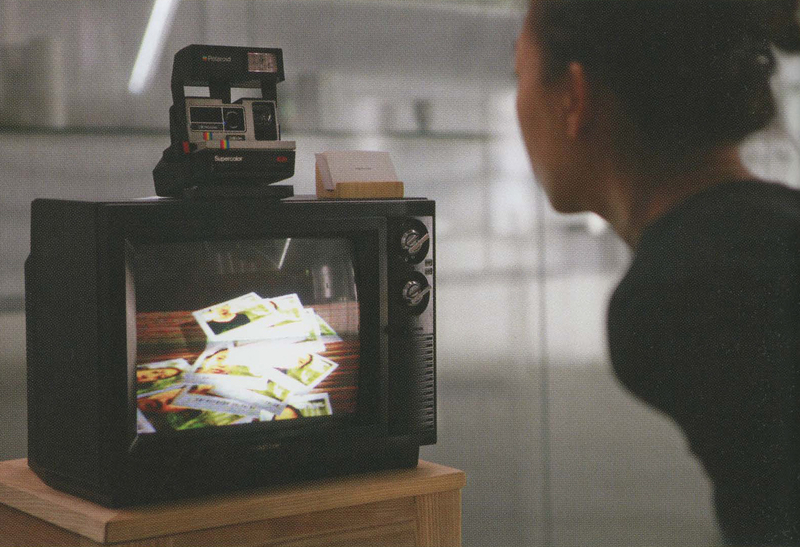 Memoirs is an interactive installation piece. It is a memoir of humanity’s struggle to invent home appliances in pursuit of happiness. 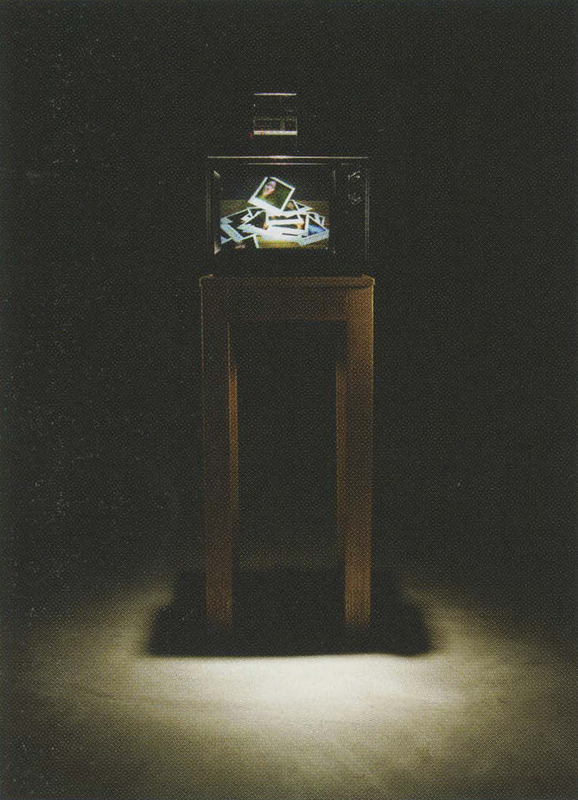 The piece is composed of a brown TV tube panel with a Polaroid camera on top. Its antique look stimulates a sense of nostalgia for old-fashioned home appliances. 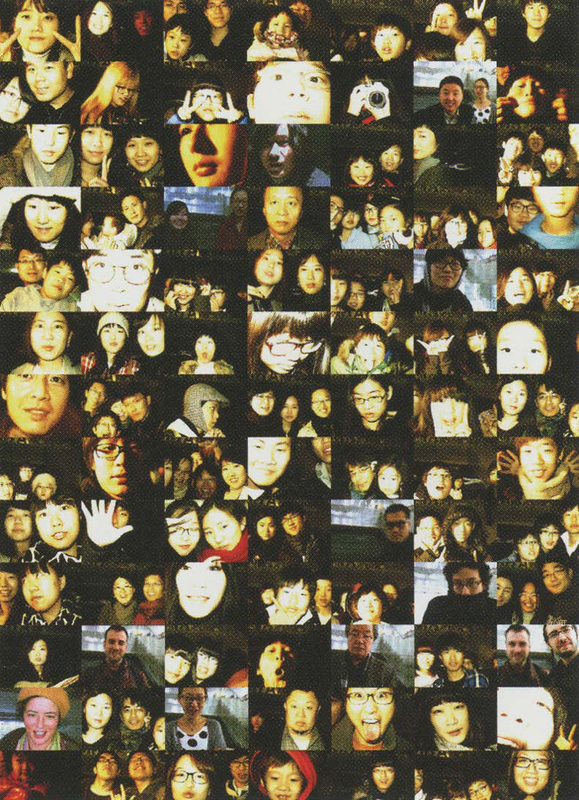 As you come close to the piece, a custom-made Polaroid camera automatically recognizes your face and takes a picture of you, and a physically simulated photo paper falls down and hits the pile of photos inside the virtual interior of the piece. Its digital data travels halfway around the earth to a web server in a distant country. Even though film-based photography is perishing and digital cameras are penetrating everyday objects, nothing can substitute for the feeling of anticipation while waiting for a photo to develop. Like bringing film to the photo printing office, taking a card with a printed web address from a stack creates a space in which to reminisce about the good old days. As you stand in front of the piece, the line between the virtual self and the physical self blurs. With photos stacking up on the web server, participants collectively build and share a single memory through the piece. Because of its intense and antique visual imprint, even when our experience with this piece dims, our shared childhood memories of electronic home appliances will remain.